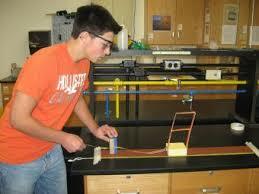 Science Fair Projects are a great way to explore the scientific process and find out more about interesting subjects! IRIS has put together some resources that can help you get started on a science fair project exploring seismology and earthquakes. These outlines will provide you with guidance for creating a procedure and making observations but it’s up to you to create a hypothesis, ask questions, make observations and reach your own conclusions! Earth is an active place and earthquakes are always happening somewhere. 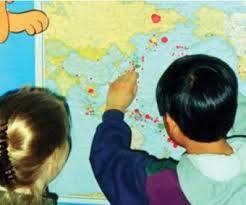 In fact, the National Earthquake Information Center locates about 12,000-14,000 earthquakes each year! Knowing precisely where an earthquake occurred is an important piece of scientific information. It can help seismologists identify and map seismic hazards. Patterns of seismicity also help scientists to understand the location and motion of the tectonic plates. Using the Interactive Earthquake Browser, a large map of the world and colored dots, you can explore our active earth and determine patterns of world-wide seismicity. Large map of the world with topography, bathymetry, and 10° latitude and longitude lines. Colored, self-adhesive dot stickers. The dots should be different colors, different sizes, or both. A notebook to record the earthquakes you plot, as well as your observations and findings. Spend a few days getting to know the IEB. Practice setting the time range and depth range for earthquakes. Practice setting the magnitude range. Practice hovering over the dot on the IEB and finding the magnitude and location of earthquakes on the map. How many earthquakes happen each day? Where do earthquakes happen? How big are they? How deep are they? Later, you are going to be recording the magnitude, location (latitude and longitude) and depth of earthquakes around the world in your notebook and then posting a dot in those locations on your map. Do you record every single earthquake or only some earthquakes? How do you decide which earthquakes to record? Why? By now you’ve noticed that earthquakes occur at different depths and are different sizes. Assign a different colored sticker to a particular range of earthquake depths. You want to have at least 3 colors but you can have more. If you have different sized stickers, assign a range of magnitudes to each sticker size. Now start recording the earthquakes you want to plot in your notebook and marking their location with stickers on your map. Do you see any patterns of earthquakes? Where do earthquakes mainly occur? How big are most earthquakes? How deep are most earthquakes? Why are some earthquakes deeper than others? Why do earthquakes occur more in some locations than others? What do earthquakes have to do with plate tectonics? This can be a great extension of the Plotting Earthquakes Science Fair Project, or it can be done by itself. 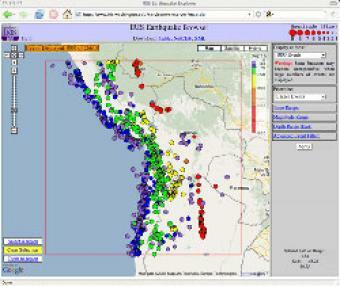 Spend a few days exploring, observing and learning how to control the IRIS Earthquake Browser (http://www.iris.edu/ieb). Practice setting the time range and depth range for earthquakes. Practice setting the magnitude range. Practice hovering over the dot on the IEB and finding the magnitude and location of earthquakes on the map. Select a region of the world that is of interest to you. Now make some guesses about how many earthquakes there will be in that region over some time interval (1 day? 1 week? 1 month?). Record your guesses. Compare your guesses to what actually occurred. 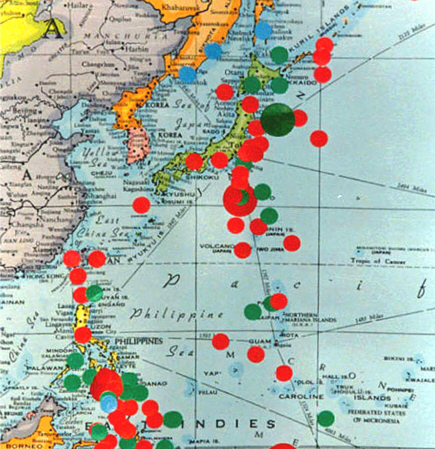 Did you accurately predict the location and magnitude of any earthquakes? Now choose a different area of the world and repeat steps 3-6. Do you see any patterns or trends in earthquake occurrence? How are the patterns and trends in the different areas of the world different? How are they the same? Why? How might this information help to forecast future earthquakes? What is the likelihood that an earthquake of magnitude 7.0 or greater (which can cause severe damage) will occur in the next year in that region? Were you able to accurately forecast earthquakes? If so, what is your success rate? 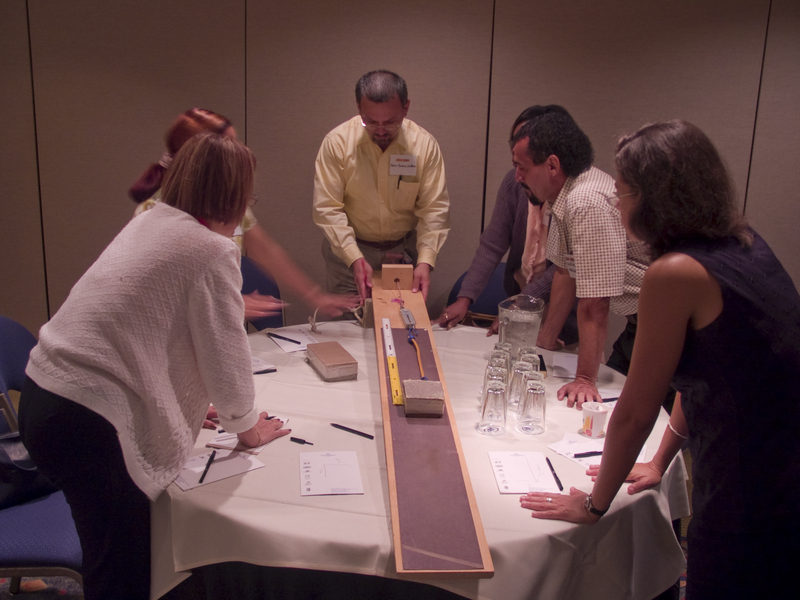 Building your own seismometer is an exciting way to explore earthquakes and learn about geophysics. Before you start to build your seismometer you need to learn about how a seismometer works and what it is going to record. Here are few resources to get you started. There are lots of great websites with instructions telling you how to build a seismometer. Below we’ve listed our favorites. Now that you’ve built your seismometer and understand how it works its time to start recording earthquakes (or other things that make the ground shake)! The Earthquake Machine is a simple mechanical model that illustrates the earthquake cycle and allows you to gather information about earthquake size, frequency, and predictability. Using the tape measure and pencil, divide the one-foot length of 2”x 4” into three 4” blocks. Use tacks, glue, or duct tape (rolled into a loop and placed between the sandpaper and block) to attach the sandpaper square to Block A. Using the needle nose pliers, carefully bend the eye of the 212x15/16 screw eyes opened just enough to allow a rubber band to fit through. Using duct tape, secure one end of the sanding belt to a table or the floor. Stretch the sanding belt out tightly and tape the second end to the table or floor so that there are no waves in the sanding belt. Place the block sandpaper side down on the sanding belt. Match up the leading edge of the block with a number on the measuring tape secured next to the sanding belt. Record that number. Gently pull on the measuring tape secured to the block until the block moves. Watch to see how far the rubber band stretches before the block moves. Record how far the rubber band stretched and how far the block moved. Without moving the block, record the number on the tape measure at the leading edge of the block and pull the rubber band again. Continue to repeat these steps until you reach the end of the block, then reset the block back at the beginning and repeat Steps 1-6. Make a chart of your measurements and then graph your measurements. Why do we use a model? How might this model be like a fault? How is it unlike a real fault? What parts of the earth and/or an earthquake system do the different parts of this model represent? How many measurements do you need to make? Does the block move the same distance each time? Does the rubber band stretch the same amount each time? How frequently does the block move? Can you predict when the block will move? When the block slides, what does that represent? Why does the amount that the rubber band stretched matter? 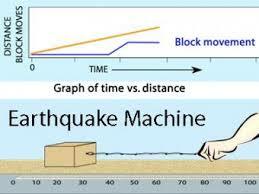 How do the Earthquake Machine generated earthquakes match up with real global earthquakes? What happens if you turn the block over and use the smooth side? What variable of the system is this changing? What happens if you add additional blocks? What are other ways you can examine this data? For instance, try making a histogram with the amount that the block slipped on the X-axis and the total number of “events” on the Y-axis. What does this graph tell you?